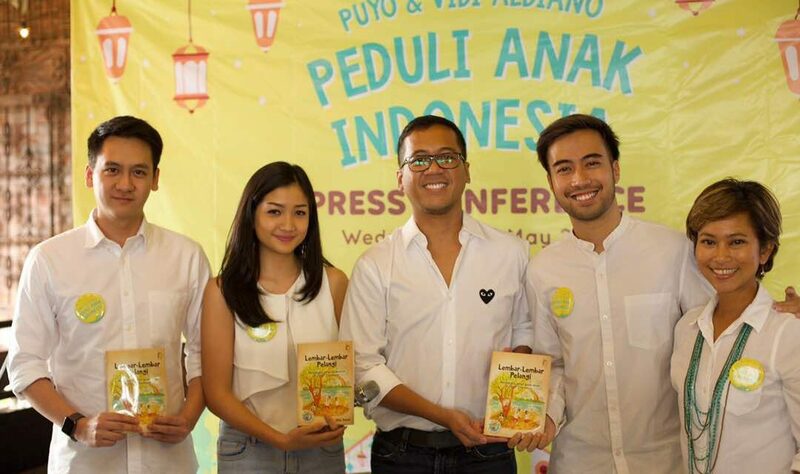 Puyo Desserts and Vidi Aldiano launch Peduli Anak Indonesia campaign to support Taman Bacaan Pelangi. 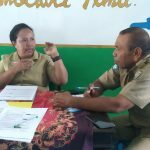 What is the campaign all about? 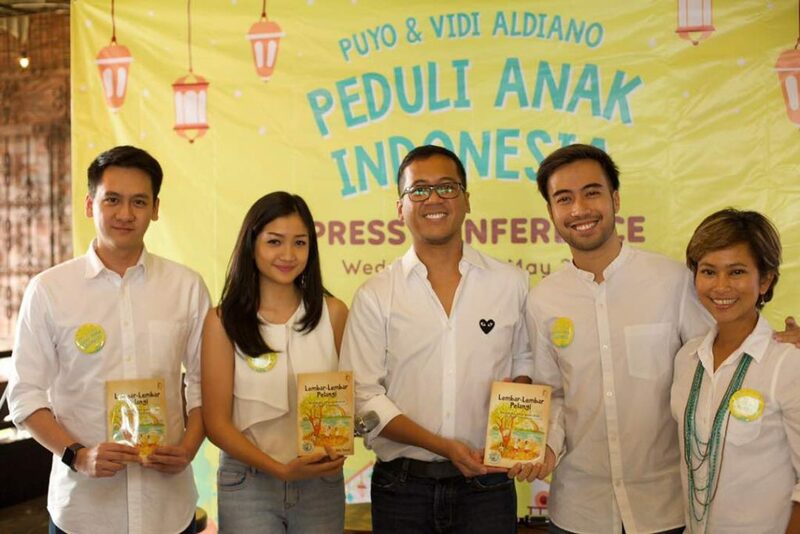 Eugenie Patricia and Adrian Agus, the Co-Founders of Puyo Desserts, and Vidi Aldiano, a famous Indonesian singer, decide to launch this campaign today and it will be running during the whole month of Ramadhan. 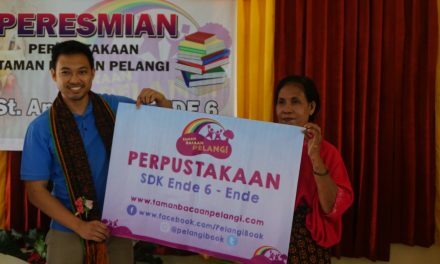 For every sale of a dozen of Puyo pudding, the company will donate Rp 15,000.- to Taman Bacaan Pelangi. Isn’t it great? Vidi Aldiano, who is a childhood friend of Eugenie and Adrian, also supports this campaign and he is going to use his newly released song called “Definisi Bahagia” (means: Definition of Happiness) to promote the campaign. Vidi is going to release an acoustic version of the song and shoot a new video clip at one of Taman Bacaan Pelangi’s libraries. The three childhood friends are bookworms. 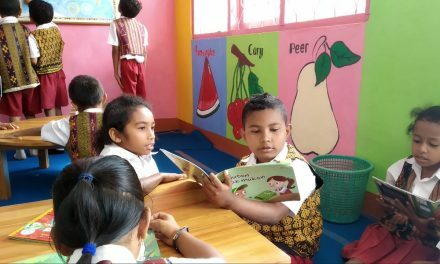 So, for them, happiness means when they read books. 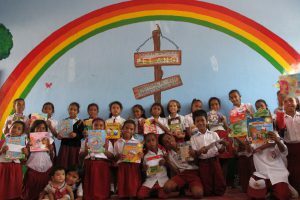 And for them, there are many of kids in remote areas in Indonesia who haven’t been able to feel such happiness, thus, they want to introduce that happiness to those kids by supporting Taman Bacaan Pelangi. 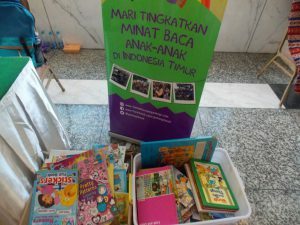 The fund collected from this campaign will be used to establish one Taman Bacaan Pelangi’s library in Flores. Yeayyyy!! We can’t thank Eugenie, Adrian, and Vidi enough for such a great support. 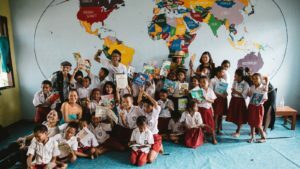 They set a great example of successful young people in Indonesia who care to others and want to give back to the local community. We are so proud of them! Hopefully, there are more young people following their footsteps :).